Brookwater is the naturally inviting venue for all corporate events, including conferences, seminars, presentations, product launches, board meetings, tradeshows, exhibitions, team building days or staff meetings (whether or not you wish to include any on course activities). 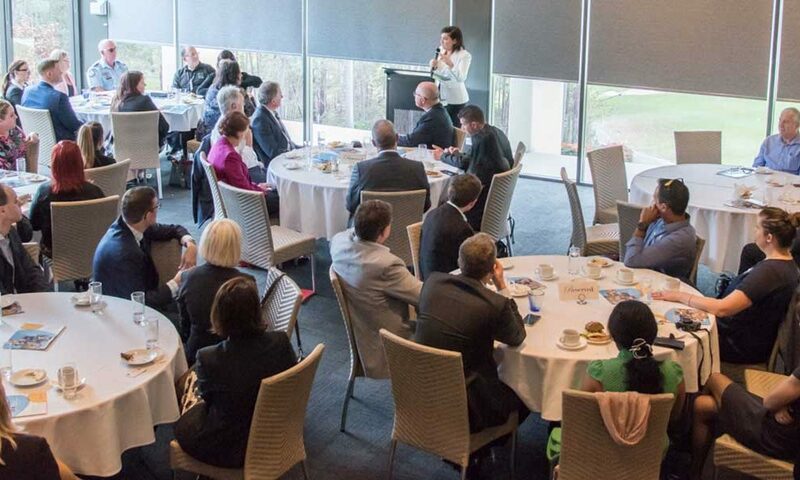 Brookwater can hold up to 500 people and has a variety of function rooms and event spaces to accommodate any corporate event group, whether small teams or departments to whole companies, and all with stunning views of the Brookwater’s scenic environment. Our team can arrange some fun (or serious) physical activities to enhance your corporate event. We can provide corporate golf packages, 9 or 18 holes, for groups of 12 to 144 and tours to get you ready for the course before you play. But the activities don’t stop there. We invite you to enjoy our variety of driving range activities, tennis and more. Whether for a quick 15 minutes or an hour or more, Activities can assist in ensuring the success of your corporate event. Start planning your special event today. facilities of the Brookwater Golf Club for our 150 year Gala Dinner. have already made our booking for year 151 Gala Dinner.